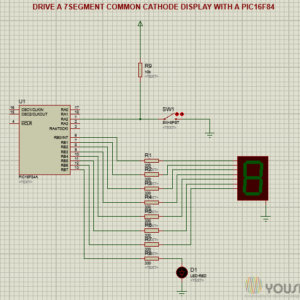 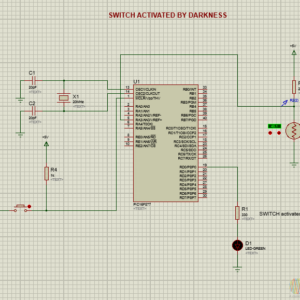 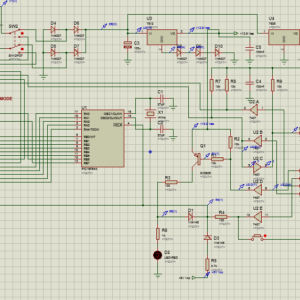 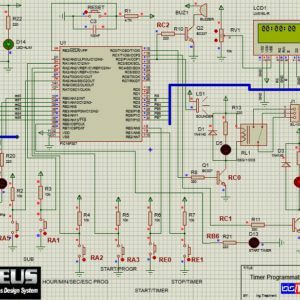 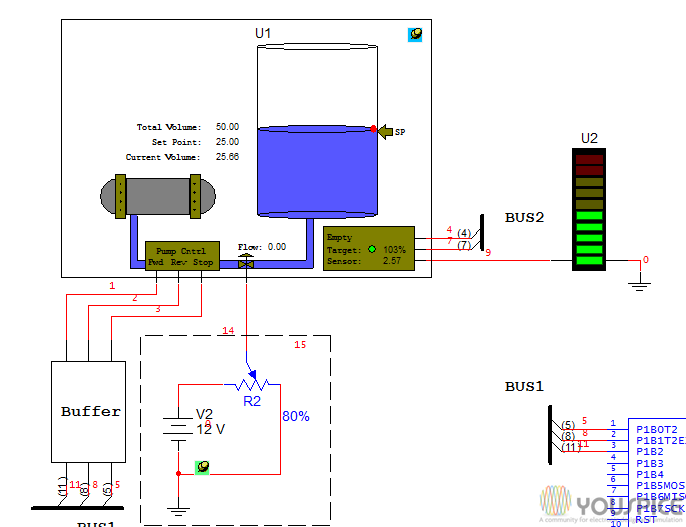 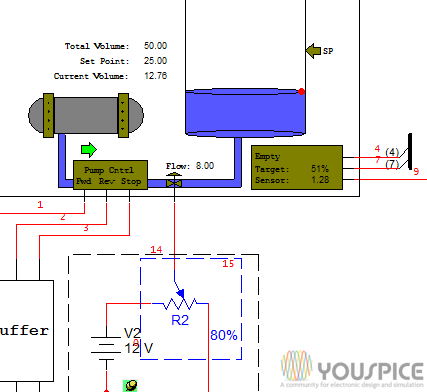 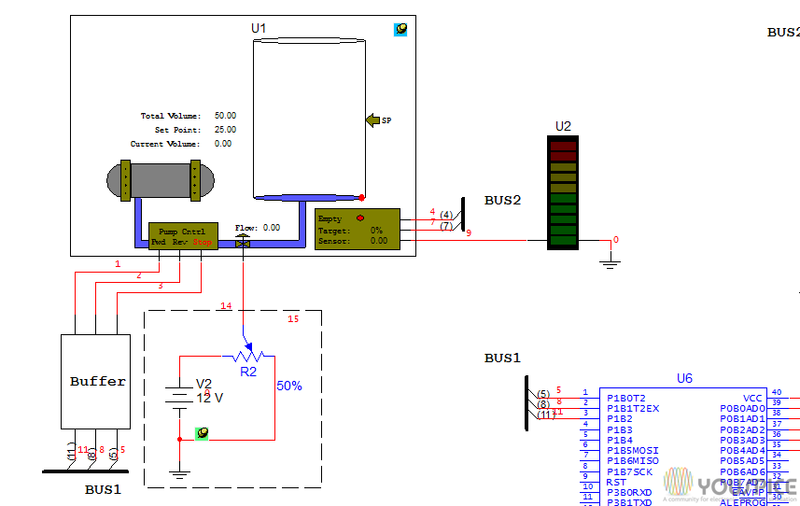 In this SPICE simulation an holding tank is controlled by a an 8051 MCU. 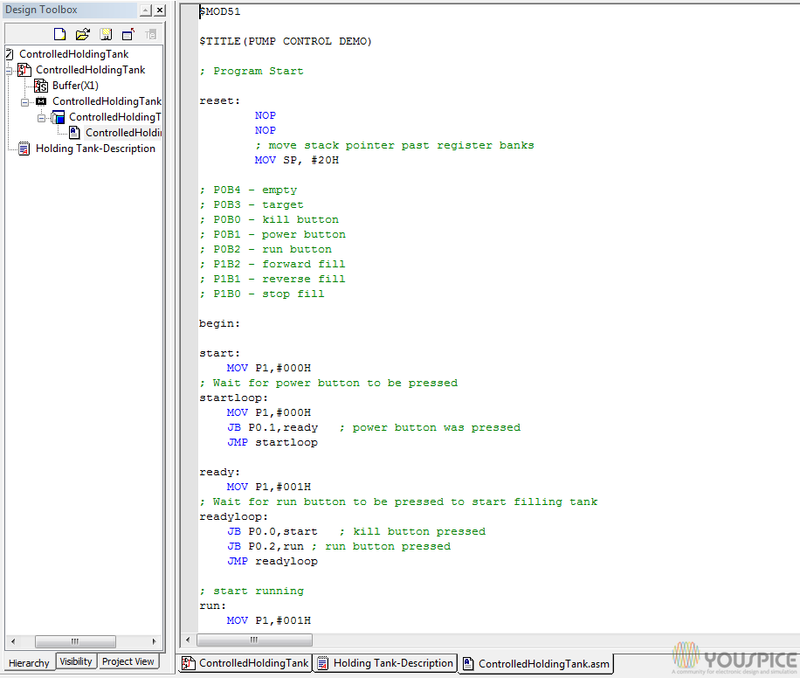 Once the system is powered on (press the P key) and set to run (press the R key), the tank will fill to the Set Point value. 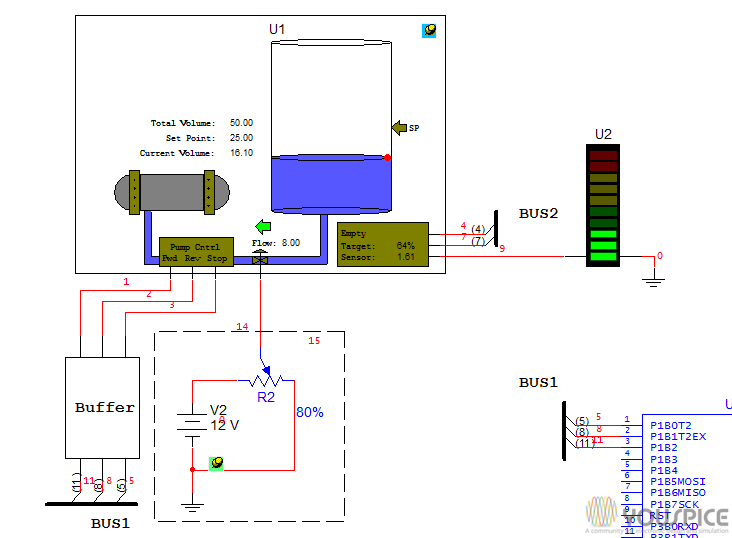 Once the volume reaches the Set Point, the flow will stop. 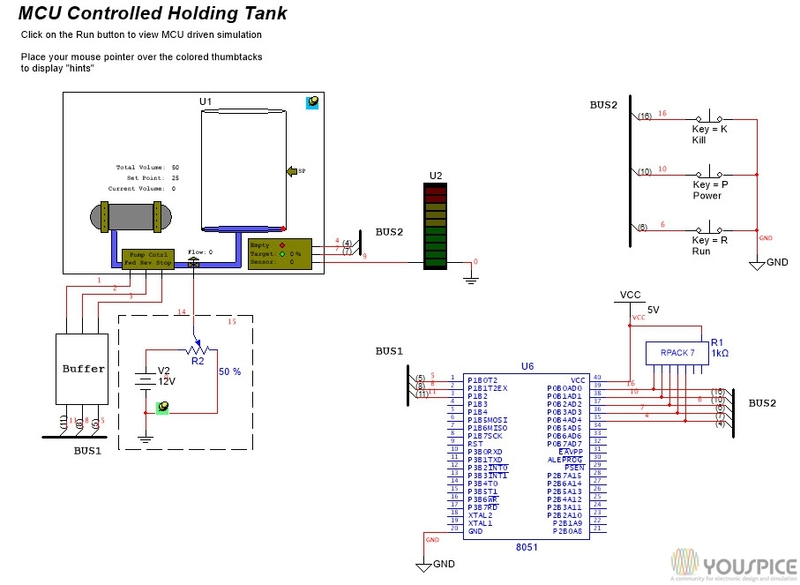 The tank holds the liquid for a time equal to 5 seconds, then drains, and shuts off once empty.